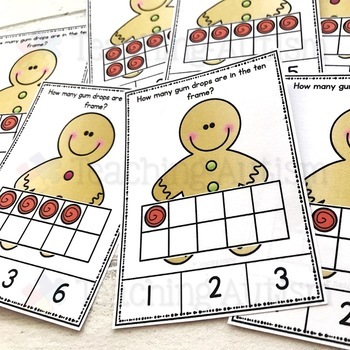 Your students will love working on their counting with these Gingerbread Man task cards. 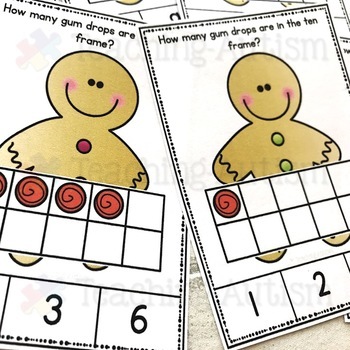 These task cards are a great way for your students to work on their ten frame, counting and number recognition skills. 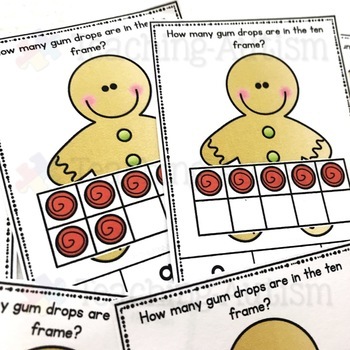 Students have to count how many pieces of candy are in the Gingerbread Man's ten frame. Once they have counted them, they choose the number on the bottom of the task card out of 3 choices. The task cards come in both col. and b/w option for your printing preference. There are instructions on the first page of the PDF file. I recommend reading these to get the most out of this resource. I recommend laminating the task cards so they will be stronger and longer lasting. This will also mean that they can be reusable in the future. 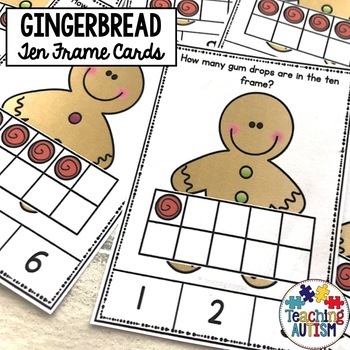 The task cards are a great way to work on counting and ten frame skills.